Uranium Backup - download in one click. Virus free. 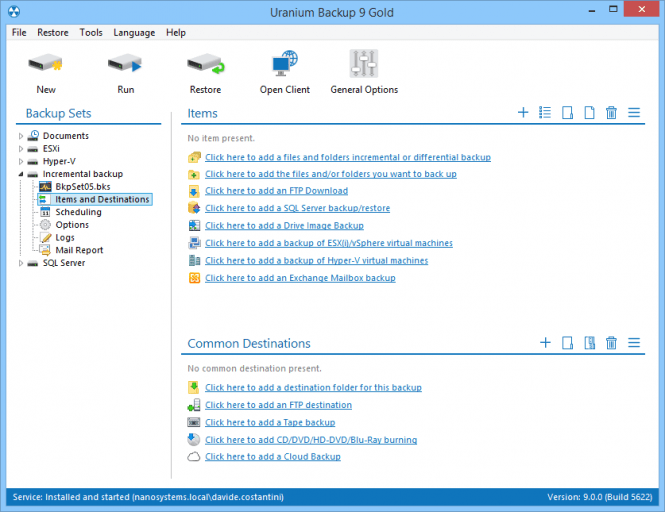 Download Uranium Backup with just one click, without registration. It comes with a safe official Web installer for Uranium Backup. Uranium Backup for Windows 10 is, naturally, a backup application creating various types of backup copies of files, libraries, folders, drives, servers and even SQL. The program has a simple, minimalist interface with easy to understand buttons, icons and menus helping you navigate and access the program's various features. 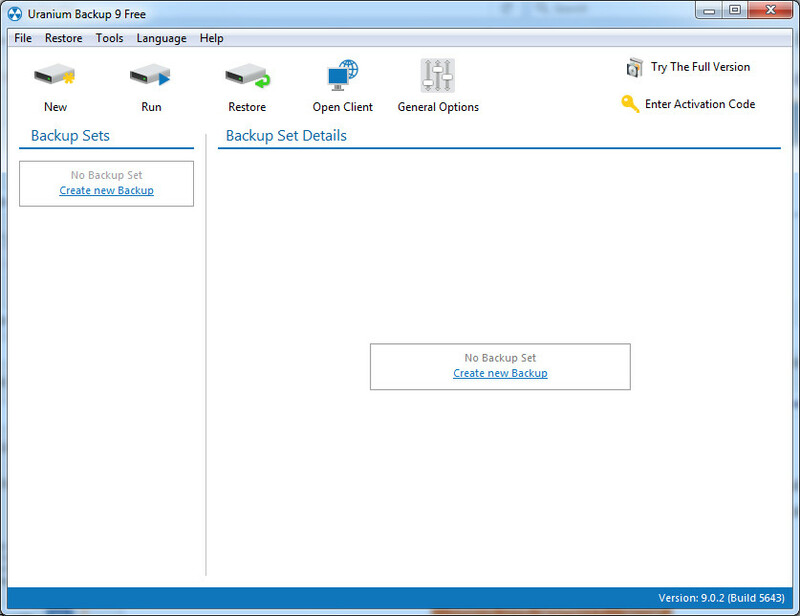 Right away you can select the type of source you want a backup for: Hyper-V, VMware ESX/ESXi/vSphere virtual drives or regular system drives with essential data, SQL databases, even tape drives (DAT, LTO, etc.). A great advantage of Uranium Backup is that there's no need to stop the work of servers in order to make a backup, it's done in real time. Backup creation is initiated easily. You can always access detailed reports and statistics. The program is protected against data loss by FTP support. Useful secondary features include scheduling options for regular backups and selection of folders where all the data restored from a backup is saved. Uranium Backup is fast, light and handy. It's a great backup utility.